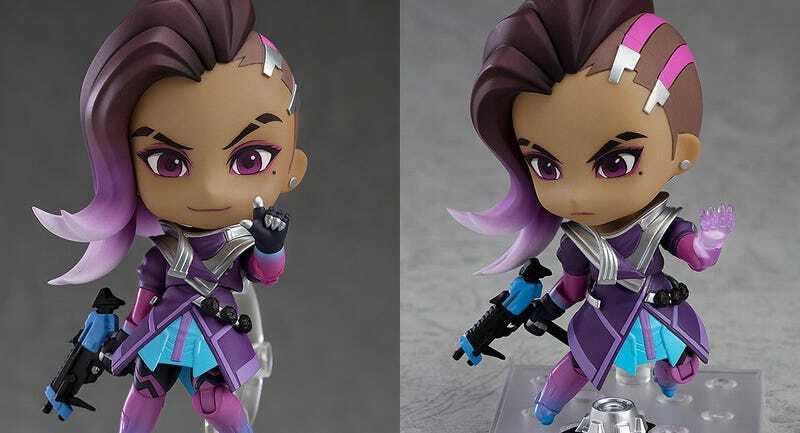 This Nendoroid Sombra is out early next year. She includes two different faces, a skull mark (to stick on other figures), translocator, effects, a gun and some interchangeable hands, including one with a “boop” finger. Sombra will cost around $40, which is in line with the other Overwatch Nendoroids.